1. How can a fighter without a single win in a particular weight class be fighting for the title of that weight class? 2. How can a fighter, whose last fight was a loss, be fighting for the championship at ahigher weight class? 3. How can anyone make a case (or have a case denied) in the future in regards to earning, yes I said the “e” word, earning a title shot? 4. Speaking of such things, what does it take these days to earn a title shot in the UFC? 5. Is Zuffa’s monetary gain the only criteria needed to book a fight in the UFC? 6. What is Chael Sonnen’s ranking in the Light Heavyweight Division? 7. How did he hurdle ten plus deserving fighters to earn a shot? 8. Which victory earned Sonnen this title shot? 9. 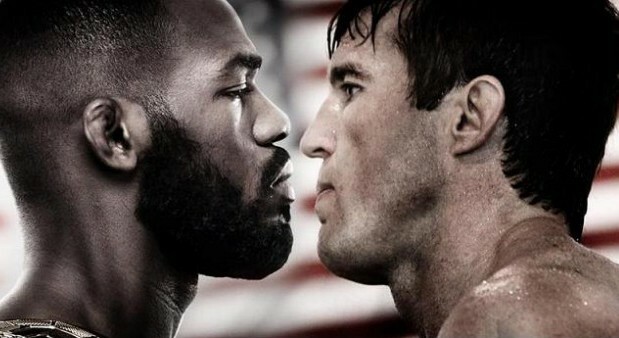 What happened to Sonnen “not talking his way into a title shot”? 10. Where are all the fans that the UFC is saying want to see this matchup? 11. What happened to Dan Henderson’s title shot? 12. How far away are we from the all out PRIDE freak show fights that UFC brass looked down their noses at not so long ago? 13. Is Bob Sapp under contract or can the UFC sign him immediately? 14. Is Shannon Ritch a free agent? 16. Why has Jon Jones been defending his title against past-their-prime marquee fighters and/or middleweights? 17. Why isn’t he fighting Alexander Gustafsson? 18. When is the UFC going to realize the TUF franchise is dying? 19. When are they going to start putting fighters that want to fight back on the show and get rid of the guys that just want their 15 minutes? 20. What does Steven Seagal think about the situation? 21. Dana, can I get a Welterweight title shot against the winner of GSP and Condit?